For spring, Tocca is inspired by lily of the valley. The newest fragrance Liliana is a tribute to this delicate spring flower. 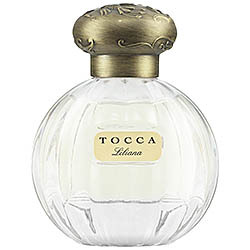 Liliana includes notes of Italian bergamot, neroli, watery peach, lily of the valley, gardenia, white peony, sandalwood, musk, benzoin, and patchouli.